Sometimes this may have undesirable—and highly confusing—results, such as a recent COOLSIS release that appears to be ignored by your browser. There may be other abnormalities, such as changes to the site's interface or modified user preferences having no effect on your actual screen. 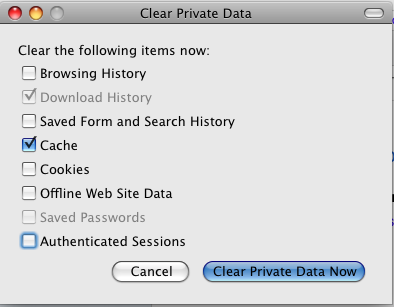 When you encounter any odd behavior, please try clearing your browser's entire cache first. This will make your browser download everything freshly from our server again. 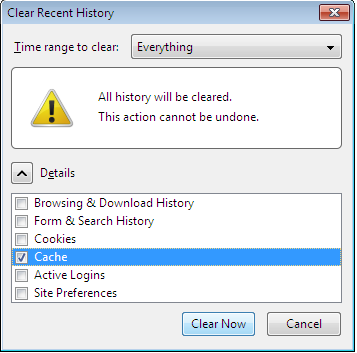 Clearing the cache will also help your browser to perform better and it also gets the latest COOLSIS releases automatically. Please try this before reporting the problem. If the problem persists, report it at COOLSIS. 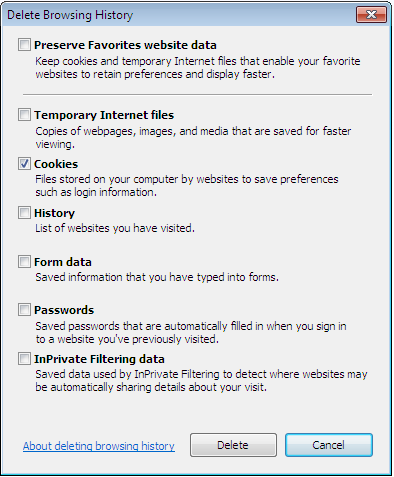 Below we give a step by step guide to clear cache for the most popular Internet Browsers depending on the Operating System installed on your computer. Please read the section that fits your computer's configuration very carefully. If you encounter any problem during the procedure or if you have different configuration that were not mentioned on this document please contact school admin. Thank you for your cooperation.